Freelance writing is an exciting and interesting profession. This is because, as a freelance writer you’re directly involved in the sprout of businesses and companies both offline and online, by helping in communicating their ideas effectively through writing. This leads to amplified audience engagement, improved online visibility, increased ROI, and so on. However, your career as a freelance writer could be tiring and boring, since you’re a one-man business involved in a lot of things. If you’re not researching for article ideas for clients, you’ll most likely be writing content for them. Similarly, you might be searching the internet for the best images to accompany your blog post, or thinking of creating an infographic for your next guest post idea. The truth is if you’re not careful you might fizzle out soon due to these numerous tasks. In order to have a productive and fun-filled career as a freelance writer, you need to arm yourself with some resources. With them, you’ll be able to craft engaging content on a consistent basis, reach out to more clients for work, and create awesome images for your posts. You’ll be able to focus on what matters at a particular time, manage your clients’ social media campaigns, help them with awesome infographics for their business, and so on. Running to social media on a daily basis to promote your services, or scheduling a series of posts across various social media platforms weekly or monthly for that purpose? Spending hours on the internet to get your next blog post title or being able to do it within minutes with the aid of some tools? Searching endlessly on the internet for the email addresses of prospects you want to target, or getting them within the click of a button when you use some resources? In all of these, you’d prefer the latter to the former. As a freelance writer, you’re a small business owner. You work within limits, deciding the kind of clients you want to take on, and the projects you’ll be interested in. The resources you use in this case must reflect your kind of business. From awesome resources that aid you to improve your craft greatly, to books that help you in the sprout of your business, then blogs that update you with the latest industry tips and news. Likewise, tools that help turbocharge your productivity, make designing images a pleasurable task and ease the research process for you. One thing is for sure, with these resources and tools handy, your freelance writing business will never remain the same again. As a freelance writer, your most important asset is your writing skill. When you write well, clients will love your work and always come back for more. But if you don’t, you’ll most likely lose them to the next available freelance writer for hire. What if I tell you that, there are resources that’ll make you become the clients’ favorite all the time? With them, you’ll be able to polish your writing skill immensely on a consistent basis. Not only that, you’ll become more confident to prospect for more clients, and land high-paying ones too. You can never have enough of anything related to writing as a freelance writer. This is exactly what the Purdue Writing Lab is all about. It’s the hub for everything related to writing. In this awesome resource, you’ll find a series of informational articles and books on the correct usage of the English language. It’ll help you greatly to update your know-how of writing, and how to do it effortlessly. Writing effectively, convincingly, and powerfully is a herculean task for many freelance writers. This is so because the English Language is a complex one. However, with this resource, which is the online version of J.K Strunk’s The Elements of style, you’ll be able to develop your writing skill in no small measure. When writing, special attention should be paid to grammar and its usage. After all, grammar is the backbone of writing. One way to get good at this is through the use of a guide which you can always refer to at all times. With this guide, your grammar and writing will improve drastically. Copywriting is a specialty most freelance writers want to delve into. Not only is it lucrative, it’s also compelling and revealing. No doubt about it, if you’re damn good at copywriting, you become highly sought after by clients. With this Copywriting guide by the Copyblogger team, you’ll be able to put a foot ahead of other writers in the business. This awesome web resource by Mignon Fogarty is your “go-to” website which contains resources and materials on the correct use of grammar. One amazing feature of this resource is that the founder uses humor and everyday examples to drive home her points. It’s super resourceful and I recommend that you check it out regularly due to its frequent updates. One thing is sure, if you want to become a great writer, you need to update knowledge and best practices in the use of grammar. It’s needless to say that, this is a must for all freelance writers. With this resourceful blog, you’re sure of learning something novel about grammar every day. As I said earlier, a freelance writer is a business owner. It’s only when you see yourself as such, that you’ll see a significant difference in your freelance writing business. Unfortunately, most freelance writers only see themselves as being “self-employed”. They’re neither interested in taking a critical assessment of the business side of freelance writing. If you belong to this category, these books will help you immensely. With them, you’ll understand the business side of freelance writing, get more clients, and make more money in the process. This awe-inspiring book by Tim Ferris is regarded as one of the best business books ever. It’s a practical guide which shows you how to escape the 9-5, live anywhere, and join the new rich. In the book, Tim Ferris shares tips and secrets that’ll help you achieve more productivity in your work, by working less and earning more. In this book, Michael E. Gerber gives a deep insight into why most small businesses fail to work. Not only that, he gives a solution to the problem identified, by showing you what you can do about it. If you want to know more about freelancing, then this co-authored book by Sara Horowitz and Toni Sciarra Poynter, is a must-have for you. With it, you’ll learn strategies that’ll make it easy for you to be able to have a career of your dream on your own terms. Building a business such as freelance writing could be difficult. Most times, your questions are mostly unanswered since it’s a totally new terrain. With this book by Ben Horowitz, you’ll be able to overcome that. Ben explains what you should do when you find yourself in this situation, and the steps you must take in that regard. Content marketing, search engine optimisation, social media marketing, inbound marketing, are topics that interest you. This is so because, it constitutes a greater chunk of what you’ll write about, and the solutions you’ll provide your clients. As a freelance writer, you need to be up-to-date with the latest happenings in these industries. Your best bet is a list of blogs that makes it easy for you to follow these trends. With them, you’ll know what your industry needs most, and what you should be writing about. When it comes to Content Marketing, this is the “go-to” blog for everything related to that subject matter. On this blog, you’ll learn tips and strategies that’ll aid you to improve your Business to Business (B2B) and Inbound Marketing. It’ll surely broaden your knowledge and expertise in these industries. This is your ultimate resource and guide for anything related to content creation process involving businesses. On this blog, you’ll learn the terminologies, best practices, and trends that’ll help you greatly in order to succeed with B2B. Ever heard that successful freelance writers are great marketers? If that’s so, marketing is an area you must pay a great deal of attention to as a freelance writer. If you don’t know where to get started, this amazing resource comes in handy. With blog posts, case studies and eBooks on marketing from a diverse team of marketers all over the world, you’ll sure take your marketing skill to an entirely new level. As a freelance writer, you’re automatically an entrepreneur. So, if you want to go far in your freelance writing business, you must know more about entrepreneurship. Who else comes to mind in this subject matter than the exceptional and world-renowned entrepreneur, Seth Godin? Seth, who is the author of over 18 books, provides useful tips on entrepreneurship for writers on his blog. Amazingly, he keeps his blog posts short and simple, yet informative. Founded by Brian Clark, this is a place to be if you want to learn more about copy writing, digital marketing, and content marketing. One great thing about this resource is that it features experts weekly on these topics. Brian and his Rainmaker digital team, will provide you with words that’ll work for you in your freelance writing business. This is a marketing tool for freelance writers. On the Hubspot blog, you’ll learn marketing tips and strategies that can help you improve in your freelance writing business. Another advantage it has for you as a freelance writer is that it has a lot of free courses you can enrol in. Some of the courses include: Inbound marketing, Content Marketing, Social Media Marketing, Search Engine Optimisation, and so much more. Since 2004, this blog by Darren Rowse has been the home for bloggers wanting to create, grow and make money from their blogs. This is useful for you as a freelance writer, since you’ll most likely be involved in blog content creation for your clients. This resource helps you to learn more about blogging tips that you can use for your clients in the long run. Henneke Duistermaat prides herself as an irreverent writer on a mission to stamp out gobbledygook content. And she does just that with Enchanting Marketing. On her blog, you’ll learn a lot about writing in an enchanting way, creating seductive content and adding sparkle to your business writing. Wherever you are in your writing journey, her regular blog content will take you by the hand to become enhanced in your craft. The importance of editing for you as a freelance writer cannot be over-emphasised. 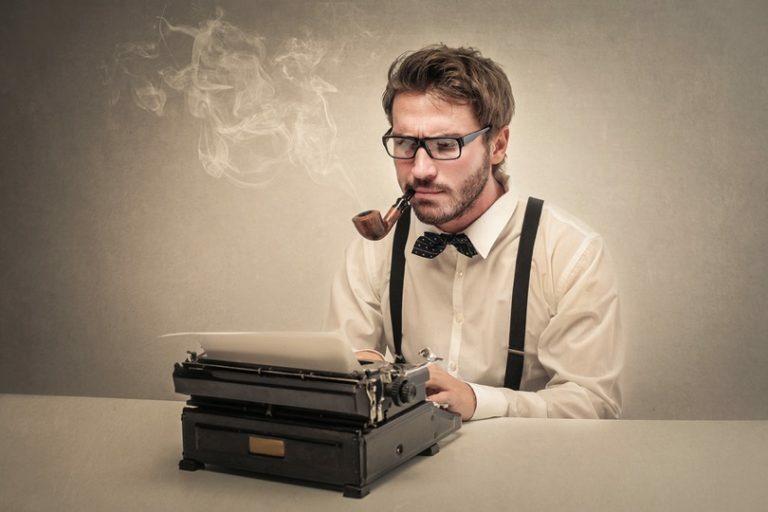 A writer who fails to edit their articles will soon run out of business. While this is so, getting an editor could be a thorn in the flesh. Sometimes they’re out of reach, or simply costly for you to afford. With these tools, your articles will become more punchy and conversational. Not only that, you’ll be able to edit on the go directly from your browser or Microsoft word. Grammarly was first released about 9 years ago, to enhance the writing of the English language. With the software, you’ll be able to automatically detect potential grammar, word choice, spelling, punctuation, and style mistakes when writing. Not only that, it helps you suggest corrections to them on the go. This’s a tool which should be on the radar of your choice as a freelance writer. The tool promises to make your writing bold and clear. With it, you’ll be able to know the mistakes in your articles, whether it’s the excessive use of phrases, passive voice, difficult sentence, and so on. This tool is free and easy to use. All you need to do is copy and paste the article you want to edit on the app, and you’ll start editing instantly. Ever thought of a way of proof reading your documents easily without spending a dime? Well, 1 checker is here for you. With it, you’re able to check your spelling and grammar, enhance text readability, make a professional impression with natural writing, and so on. Above all, you pay absolutely nothing for using this tool. This is an editing tool that’s trusted by more than 500,000 writers, authors, copywriters, and so on all over the world. With this tool, you’ll be able to edit faster, fix style issues, eliminate errors, and learn as you edit. Mostly a paid tool, it has a free version which allows you to edit 500 words at a time online. It’s also available on Microsoft word, Google chrome, Google Docs, and so on. This tool takes a unique perspective to the editing of articles for your online readers. What it does is that it provides a readability score, which’s a calculated index that predicts the level of education one needs to obtain before being able to read your text. It checks for the sentence length, keyword density, passive word count, and so on. Although it has a free version which’s available for all, its PRO version has more features such as keyword analysis, content analysis, Email marketing scoring, and so much more. When creating technical content, you’ll encounter some issues as a freelance writer. This might not be because you’re not well-grounded in your writing, but due to the complexity of the client’s specification. Take for instance; you’re asked to write an article using the APA or Chicago manual of style. What if you’re required to work on a whitepaper and you have to deal with acronyms and abbreviations, what do you do? Most times, you’ll resort to Google for solutions. With these tools, you’ll have a manual handy that you’ll always consult whenever you want to make references. When you run into problems with the use of APA style in your writing, you’ll find this resource helpful. It provides you with detailed information on how to use the APA style in your writing. Think of anything such as crafting headlines, lists, table of contents, and quotations. Not only that, it also provides you with the right information that can be used for websites, e-books, interviews, social media, and on and on. If you ever need an online dictionary with a lot of features, then this’s definitely for you. On the website, you have access to a lot of learning materials such as word of the day, a daily grammar lesson, article of the day, this day in history, and quotation of the day. Similarly, it serves like a “one-stop” dictionary which provides you access to other useful writing resources such as Idioms, encyclopaedia, medical dictionary, financial dictionary, and so on. Just like the APA style resource mentioned above, this’s your “go-to” resource for the Chicago manual of style. It’s definitely an indispensable reference tool for you as a freelance writer. It helps you with up-to-date information regarding the usage, style, and grammar of the Chicago manual of style. When confronted with the use of Acronym in your writing, you don’t need to fidget. With this resource, you’re definitely on the right track. With more than 5 million acronyms and abbreviations, it’s definitely the world’s largest and most comprehensive dictionary of acronyms, abbreviations, and initialisms. Through it, you can find out what any acronym or abbreviation you want to know stands for. To be an exceptional freelance writer, you need to engage in consistent practice. Doing so, will make you more confident with your writing, and make you the “go-to” freelance writer for clients’ projects. One major problem most freelance writers face with practice, is doing it the right way; having an accountability-check that keeps them on their toes. To be able to checkmate this, these practice tools will help you greatly. 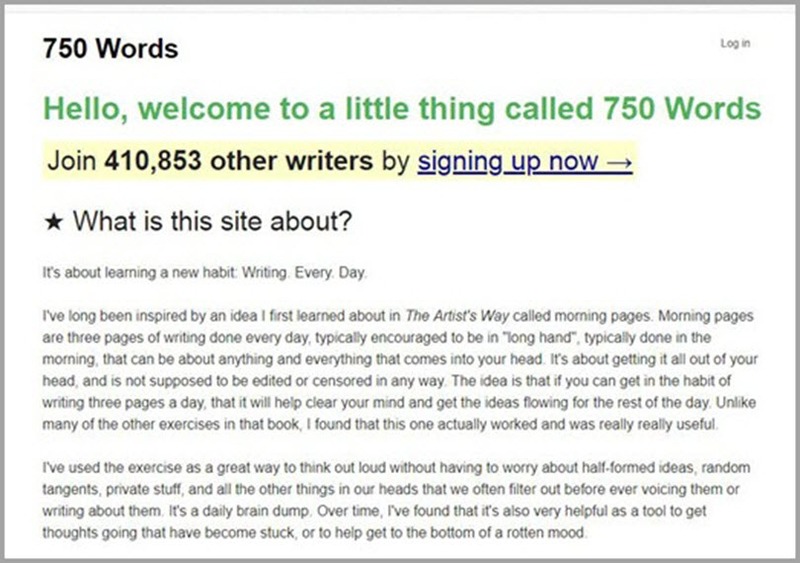 What does it mean to join over 400,000 other writers to learn the habit of writing every day? Well, that’s what this great resource does for you. When you sign up, you’re sure of writing about three pages on a daily basis. Not only that, you can also track the time it takes you to complete the task; making you more efficient and have fun in the process; by engaging actively with fellow writers. With this powerful tool, you’re on the right track to becoming a better writer in no distant time. This is because, when you join other writers who use this amazing resource, you’ll be nudged to become better at your craft. With it, you can monitor how long it takes you to complete a writing task, the number of words you’ve written daily, and on and on. Sometimes, you wake up and not motivated to write anything. With this paid resource, you’ll be able to get over that, as it keeps you motivated to write every day. Here, you can create a daily writing routine with a series of writing prompts, access writing courses, and also use a distraction-free writing space. It’s a resource you can always bank on as a freelance writer. Being productive is something you’ll strive with on an ongoing basis as a freelance writer. A typical day in your life as a freelance writer involves writing articles for clients, prospecting to new clients, following latest industry trends, reaching out on social media platforms, hanging out with colleagues, and so many more. Most times, it’s difficult to joggle between these tasks without getting burned out. With these tools, you’ll be able to solve that, manage your time effectively, and achieve more productivity. Ever wanted to limit the amount of time you spend on time-wasting websites? I’m sure you want to, but can’t just figure out how to do it well. Sometimes, you’d have planned how you want to spend your time writing that client’s article, only to find out hours later that you’re either checking out celebrities on Instagram, chatting on Facebook, or trolling on Twitter. With this App, which can be installed on Chrome, you’ll be able to overcome that by blocking those websites that waste your time. Distractions affect your writing too, don’t they? Think about it, you’re writing and the next thing, you have things which distract you. This tool is just like a minimalist writing zone, where you can block out all distractions, and get to what’s important. Writing! This productivity app that has been downloaded over half a million times, can help you become more productive with your computer. With it, you’ll be able to focus on what’s most important to you. To do this, it helps you block digital distractions using the daily time limit. Due to a variety of activities, there are chances that you get preoccupied with a lot of things. For this reason, it’s possible that you forget a lot of important stuff. This makes you lose focus and get lost in the scheme of things. With this App, you’ll be able to unclutter your mind, organize your life, and enjoy it too. Through it, you’ll get tasks out of your head, and onto your to-do lists anytime, anywhere, and on any device. This is a fluid form of the Pomodoro technique. The Pomodoro technique allows you to have a 25-minute cycle of work, followed by a 5-minute break. With this timer, it’s a little bit more flexible, and can be tailored to meet your productivity needs. Take for instance; you can decide to work for 50 minutes at a go, with a 10-minute break interval, and so on. Ultimately, it helps you reduce distractions, limit interactions, and make you complete tasks efficiently within a short period. One thing is certain, the more research you engage in before crafting your content, the better its output. Hence, it’s a no-brainer to say that a freelance writer must research adequately before writing. Most times, you rely on Google to provide you with all the answers needed when researching for an article. While it’s sure to deliver great results most times, there are other awesome tools you can use in research as a freelance writer. Standing on the shoulders of giants haven’t been anyway easier. This resourceful tool gives you more in-depth research than a mere Google search does. With it, you can get more information about articles you want to research about, case laws you want to peruse, and so on. It’s apt for educational and academic articles. Want to consult an eBook when writing, but you’re on a budget. Well, this great resource got you covered. With over 57,000 eBooks across a variety of categories, you’re on the right track. Most importantly, you don’t have to worry over copyright issues associated with books on this website, especially if you’re in the United States. Faced with the task of crafting an academic content, and don’t know where to start from? This resource is all you need to get started. With a variety of topics bordering on Arts & Humanities, Education, Computers & Internet, Science & Technology, Regional & Country Information, and a host of others. It’s a great place to get anything you want research-wise. Do you want answers to any of life’s questions? But, getting it on the internet seems a herculean task. Take for instance; you want to know the food item which’s an ingredient in dynamite. Truth is: a generic search on the internet won’t most likely give you the response. With this tool, you’ll get all the weird answers to things you never knew existed. Adding more facts and figures to your content can make it go viral. This is because, more people will be interested in reading it, as they’ll see it as authoritative. This tool helps to provide you with real numbers, facts, and trends that make your content stand out. Not only that, it has experts whose works are trusted all over the world. Statistics is the backbone of content marketing. Getting relevant ones at times is difficult. With this resource, you’ll never lose sleep over that anymore. 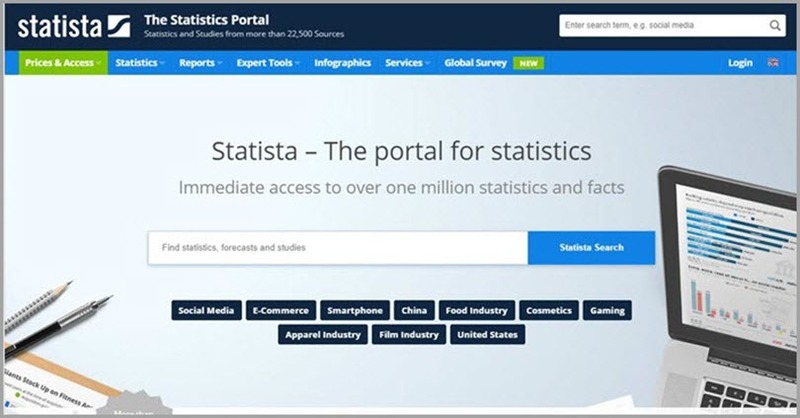 Boasting of Statistics from more than 22,000 sources, covering market studies, industry reports, surveys, country reports, and so on. The World Economic Forum (WEF) is your “go-to” resource for exclusive reports. It covers topics such as Health and healthcare systems, digital economy, energy, production, education, gender issues, among others. You’ll find all the reports you can trust from these experts and more. As a rule, you don’t have any business creating content that your audience won’t interact with. By interaction, I mean what they’ll read, engage with, and recommend to others. When you’re able to do this, you’ve successfully built for yourself a set of raving fans that can’t wait to read from you always. It’s easier now to know what your audience wants, what they’re reading, why they’re reading it, and areas that need improvement. With these keyword research tools, you’ll be able to do so effectively. This free tool by search engine giants, Google, is essential for anyone who wants to reach the right customers with the right words. Not only is it popular among many, it’s also free and easy to use. With it, you can discover new keywords, compare keywords trends, and create and share your plan with team members. It’s a great tool a freelance writer must use diligently. This keyword research tool by Neil Patel is currently trending among internet marketers. Using this tool, you’ll get useful keyword data such as volume, cost per click, and seasonality. Likewise, you’ll get relevant suggestions from head-terms and long-term phrases. Apart from that, it provides you with other important details such as competitive intelligence and keyword difficulty. An amazing advantage of this over others is that it’s free to use. This’s definitely one of the best keyword research tools out there, that’s free to use. All you need to do is enter a keyword, then choose your industry and country, and you’ll get all the related keyword suggestions, including long-tail keyword variations, and Google search volume. One unique feature of this tool is that it provides competitive and industry-specific information which helps in prioritizing the kind of content you’ll create. When creating content, you’re on the lookout for keywords that you can easily rank for. With this research tool, you’ll find the accurate keyword difficulty score hence making it easy for you to find the keywords you’ll easily rank for. Not only that, you’ll be able to beat your competition since you’ll be acquainted with the details of the keywords they’re missing. Interestingly, you can narrow down your research to a city level. This’s also a free keyword research tool that uses Google’s autocomplete feature to help generate hundreds of relevant long-tail keywords for any topic. It uses relevant information based on related keywords that users search for on Google. It’s also good for keyword research in other languages apart from English. Currently, it supports over 43 languages in its database. If you’re on the lookout for a tool that helps you find popular keywords that can be used to create content for your website, then you’ll find this handy. Prospecting for clients on the social media especially LinkedIn is highly recommended. That’s why you need to be active on the social media platforms. Similarly, you could be tasked by your clients to take care of their social media campaigns in addition to content creation. Due to this, you must take your social media marketing a notch higher. However, in most cases, you won’t be available 24/7 to create the kind of engagement required of you. For this reason, you need these social media marketing tools to be able to do this and many more. When it comes to social media marketing, this tool is no stranger in the industry. It allows you to schedule social media posts for later. Not only that, it has an easy to use dashboard that makes it easy for you to manage all your social media accounts from one place. Interestingly, you can also schedule content on the go. And most importantly, you can analyze how your social media posts perform. This’s definitely a tool you must have in your kitty for social media marketing as a freelance writer. This is also an amazing social media management software. It helps you lead the conversation on the social media by planning, organizing, and managing your social media accounts. Similarly, it provides incredible insights which make it easy for you to make better decisions using data. Finally, it fits into any type of business. Whether you’re a small business, agency, or enterprise. It’s sure one tool that’ll skyrocket your social media engagement. Trusted by 800+ of the Fortune 100 companies, this tool sure helps greatly with social media marketing. With it, you’re sure of being active on the social media 24/7, by posting via your various social media accounts. Likewise, it helps you monitor and track the impact of your social media campaigns. Not only that, you’ll be able to get feedback when people mention or discuss your brand on the social media. It’s a nifty social media tool you need to try out as a freelance writer today. This tool makes social media publishing simple. Firstly, it makes it easy for you to curate visual content from various sources. Secondly, it’s great for customizing your posts for the different social media platforms. Thirdly, it makes it so easy for you to communicate and collaborate with your teammates on different social media campaigns anywhere they are. Finally, it helps you take greater control of your social media activity. “Content is king” is an often rehashed phrase among freelance writers, content marketers, and online entrepreneurs. Although this is true, attention has now shifted from text to other forms of content such as Videos, Images, Infographics, GIFs, and so on. As a freelance writer without a background in graphic design, you’ll find it difficult to create these types of content. If this is so, you’ll leave much on the table and not appeal to a large percentage of your audience. With these tools, you’ll find it more enjoyable and easy to create your own images, even if you’ve never done so before. This is the first point of call for non-designers, who want to create and design awesome images. It’s great for designing anything you can think of. Ranging from social media posts, blog posts, infographics, eBook covers, and so many more. Interestingly, most of its features are available for free. All you need to do to get started is to check out for templates you love and edit them to your taste. If you’re design savvy, you can create images from scratch using it. Thinking of creating beautiful GIFs and screencasts, but don’t know where to start from? Well, this tool is apt for you. It helps you work at the speed of light, and communicate your thoughts easily through videos. Interestingly, you can store images online with this tool, and link to it whenever you want to. Infographic creation is great for you, but you might have been outsourcing this due to lack of design abilities. If you’ve ever wanted to created infographics for yourself or clients, then this tool is all you need. With thousands of infographics templates available. You can choose the one that’s suitable for you, and customize it to your needs for free. Want to customize a quote into an image, then this tool is for you. It’s great for creating quotes which are in form of designs. All you need to do is enter the quote you want to create, select a style which you love, and then create. Specially designed to make your communication matter. With it, you’ll amplify your story, by making it speak louder than your words. It can be used to create infographics, charts, spreadsheets, presentations, posters, flyers, and so on. Not only that, there’s a template handy for you to pick from, and make your own. Creating images from scratch with the tools above is appealing, however, not everyone will be able to do so at all times. Take, for instance, you have a deadline to meet, yet want to accompany your post with images. Head over to Google to source for images that have copyright issues? I’m sure you’ll not want to fall into trouble. With these resources, you can get high-end stock images for free. In fact, you can use and tweak them without any attribution whatsoever. With thousands of public domain images, you can download images from here for free. In fact, you’re free to use it for commercial purpose if you want. It has a lot of collections in stock that you can use for your content. This is another great website where you can get free images to use. You can search for photos in its various categories such as technology, office, kitchen, training, and so on. In fact, you don’t need any attribution for the images you download through this website. You can use it, and edit as you like. With over 1.5 million royalty free stock photos and videos, this can be referred to as your “go-to” hub for downloading photos for free. When it comes to content creation, your headline is important. In most cases, you need to pay more attention to it than the content itself. Most people will not read your content if the headline isn’t appealing. But, it’s damn difficult to come up with amazing headlines on a consistent basis. With these tools, you won’t encounter this problem again. All you need to do is insert the keywords in your content, and they’ll generate lots of headlines that you can use for free. This tool is all you need to create headlines that are engaging, drive traffic, and generate results. It’s a tool you must have as a freelance writer. Since it helps you engage with your audience better, and reaching out to more people too. Sometimes you’re stuck and don’t know what you ought to capitalize in your headline. This tool is all you need to make sure that your title and headlines are properly written. Importantly, it checks out the four major headline capitalization styles such as AP style, APA style, Chicago style, and MLA style. You’ll never make any mistake in this regard with this tool. Sometimes, you want to create a blog post but don’t know what the topic should be about. If you’ve ever experienced this, then this tool helps you greatly to create blog topics all the time. All you need to do is fill in the fields, and the generator will provide you with blog post ideas you can use for a week. It helps you generator titles for your content. With this tool, you’re sure to find titles that are relevant to the need of your audience. Likewise, you’re sure to make your titles rank high too. Being a professional freelance writer, you need to prospect for clients on an ongoing basis. If you don’t, chances are that you’ll run out of business soon. Most experts have reported that cold pitching clients work for them immensely. When you do, you’ll most likely end up with recurring clients even when others are complaining. However, one problem you’ll face in cold pitching is getting prospects’ email addresses correctly. This is a difficult task, as most clients hide theirs. With these tools, you’ll never make any mistake when it comes to acquiring new clients. All you need to do is input some details of the client such as the company’s website, and you’ll be amazed by the results you’ll get. This helps you find any email address within five seconds. It’s so easy since it integrates well with Gmail. Hence, you can get in touch with anyone right from your inbox. All you need to do is type in the company’s name with the details of the employee, and you’re good to go. This is the yellow pages of email. It helps you find the email address of any professional in the world. With it, you can find prospects in the social network, find various email addresses from a company, and verify if a particular email is real. As a freelance writer, it’ll help you greatly in getting the email address of new clients. If you’re in the B2B industry and want to get the contacts of prospects. Then, this tool is all you need. Its integration with LinkedIn makes it save time, and the outreach process improved. All you need to do is visit a profile page on LinkedIn, and you’ll get the email address attached to that profile immediately. It also supports Twitter and Salesforce too. Trusted by big companies in the world such as Facebook, Intel, Twitter, Airbnb, and so on. This’s definitely a big name when it comes to prospecting for clients’ email addresses. To find anyone’s email address using this tool, you just need to input their name and website or company. It also integrates with tools such as Zapier, Hubspot, and Salesforce. Do you want to connect with the people that matter for your business? Then, this tool helps you do just that within the click of a button. With over 200+ million email addresses indexed, you can trust this email-finding tool. All you need to do is input the domain name of the company you want to get prospects from, and it’ll bring up the email addresses relevant to that domain name. Below are other resources which you need, to be on top of your game as a freelance writer. They will help you with research into the keywords that are generating the highest shares in your niche, how your competitors are faring, and those engaging with their content. Similarly, you can know how to get paid easily with some of them. When creating content for yourself or client, most times you’ll want to create one that performs best in your niche. Buzzsumo is here to help you out in that regard. With it, you can know the content that performs best for any topic or competitor. So, you’ll be able to reach out to key influencers, who’ll like and promote your content. This’s a great marketing tool that you can’t do away with as a freelance writer. At times, you’re on the go and find it difficult to follow all the news and trends in your industry at a time. When you are faced with this challenge, this tool will make it easy for you to organize topics that matter all in one place. You can put together blogs, publications, google alerts, tweets, and so on that are relevant to you, and get back to them later. With 16 years of experience, this tool is a great relief for you, especially if you want to receive payment online. It offers a seamless, safe, and reliable payment processing for anyone irrespective of location. No matter where you are, you can use this payment processing tool. It supports different languages, integrates well with PayPal, and other major credit and debit cards, and so on. This tool is great for credit and debit card processing solutions for your business. One good thing about it is that it offers a low-cost processing solution. Similarly, it has no hidden or monthly fees which makes it easy to afford. With it, you can get paid faster, reach a wide range of target audience, and maximize security when receiving payments. These resources will help you greatly in your freelance writing business. They are essential in ensuring that you don’t lose track of your aims as a freelance writer. With them, you can achieve your freelance career goals with minimal efforts without breaking the bank.